Maybe after all is picked up I can start working on my challenge for the Treasured hunt challenge! It's due Sunday. OH.. sign ups have started over @ TallyScrapper for the Olympics challenge. The challenges start on August 8!!!! The Scrapping Spot is looking for creative, innovative and talkative scrappers to join our Design Team. The Design Team term will run for six months: October 2008 – March 2009. -free shipping on orders that are shipped with the monthly kit. Layouts and other items should use at least 90% of the product in our kits. Occasional challenges and crop challenges/participation. Contribute tips/articles once a month for The Scrapping Spot's monthly newsletter. Design Team member layouts may be included in our online or newsletter classes. Design Team members will receive credit for all of their designs. If kit contents are used in a posted/published projects, The Scrapping Spot must be mentioned. Respond regularly to topics on discussion board. We are an exciting and growing community and are looking for strong and COMMITTED Design Team members to actively participate on our message boards and help us promote the monthly kit club and store. All applicants need to be within the United States, territories and military addresses. We apologize for this but, due to time restraints, we cannot guarantee that product will arrive to us in a timely fashion and our turnaround time is sometimes quite limited. Participation on our Message Board is a MUST. If you cannot participate, please do no submit an application. 2 original layout -OR- 1 original altered project and 1 original layout. We would also like to see some of your other work. Please tell us what message boards you are on and your screen name, and please include links to your galleries and your blog, if you have one. We apologize for those of you outside of the United States but we cannot accept applications if you are not within the US or its territories. We will be accepting applications through August 31, 2008.
dave is up to 64 cuccumbers from his garden. 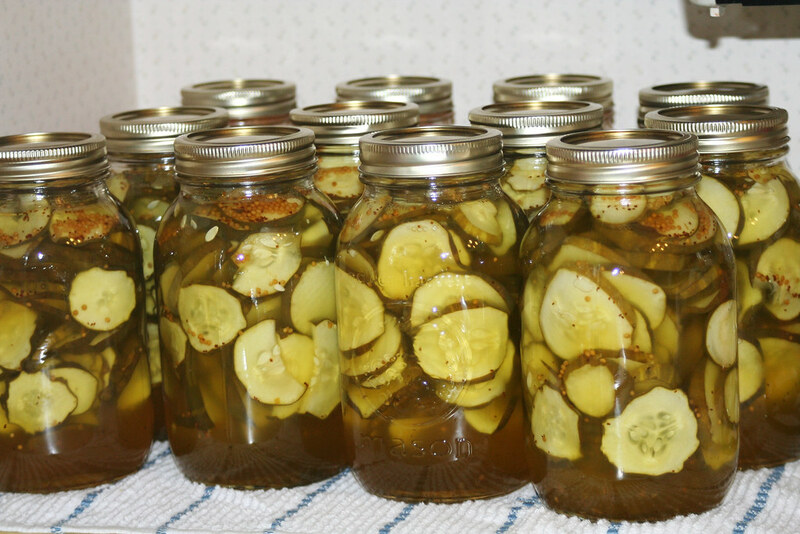 umm right now i just want to bathe in your pickle juice it looks so yummy!